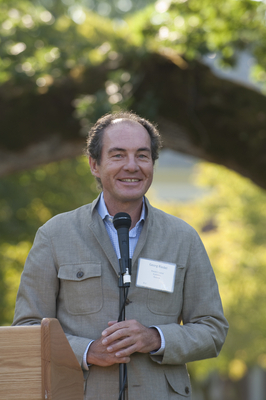 2007 Master of Ceremonies Georg Riedel of Riedel Crystal (Kufstein, Austria) speaks at an IPNC event. Johnson, Andrea, "Georg Riedel, 2007" (2007). IPNC - Archival Photos. Image. Submission 26.